The Board of Directors of IDFC Bank today approved the financial results for the quarter ended September 30, 2017. 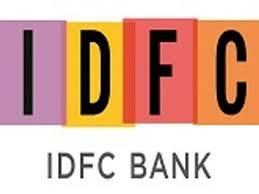 IDFC Bank’s active customer base touched 20 lacs, serviced through 14,126 Points-of-Presence, comprising 100 branches, 48 ATMs, 383 business correspondent branches, 10,258 MicroATMs, and 3,337 Aadhaar Pay merchant points. The Shareholders’ funds of the Bank stood at Rs. 15,056 crore as on September 30, 2017. Capital Adequacy Ratio (CRAR) of the Bank, computed as per Basel III guidelines, stood at 19.3% as at the end of the quarter. Tier 1 Capital adequacy ratio stood at 19.0%. Gross NPL and Net NPL of the Bank as of September 30, 2017 were Rs. 2,002 crore and Rs. 805 crore respectively. Gross NPL as a percentage of Gross Advances was 3.9% and Net NPL as a percentage of Net Advances 1.6%. The Bank’s employee base (including IDFC Bharat Limited) grew by 6.5%, as compared to the previous quarter reaching total team strength of 8,377 employees as of September 30, 2017. IDFC Bank was recognised as a Digital Transformation Leader for Omni- Experience Innovation at the IDC Digital Transformation Awards 2017. In keeping with IDFC’s legacy of building the nation, IDFC Bank will focus on serving the rural underserved communities and the self-employed, while continuing to support the country’s infrastructure sector.